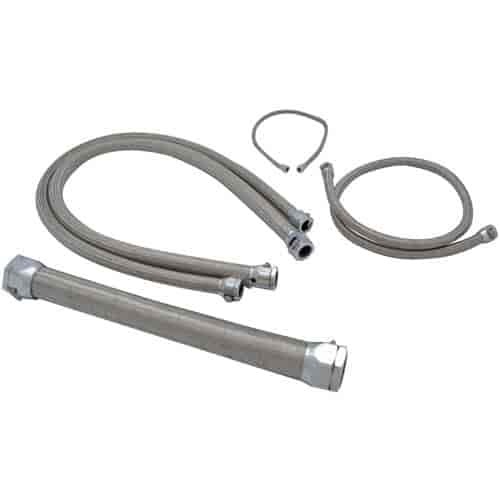 Spectre's Magna-Pak Braided Hose Kits are universal and available in 19 inch, 22 inch, or 25 inch length variations. Offered with either Red/Blue or Chrome Magna-Clamp aluminum hose fittings and hose that is reinforced by grade 304 stainless steel braids. These high quality hoses are designed to perform as well as they look.